Jesters present the most important Headlines around Faeo! 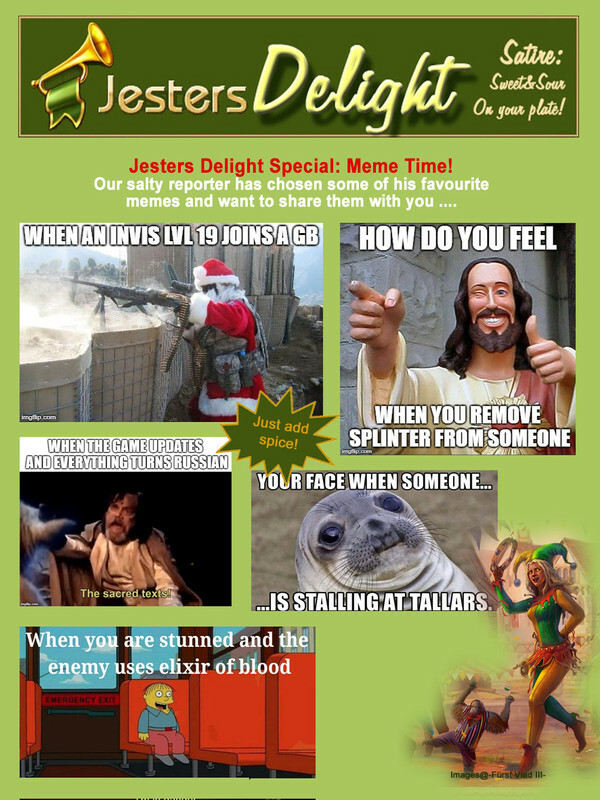 Find out what is happening in the World of Faeo in our latest edition of Jesters Delight Special Edition: Meme Time! That splinter one is mine :)!! !